After years of sprains, bruises and frustration, the ultimate ankle guard was born. 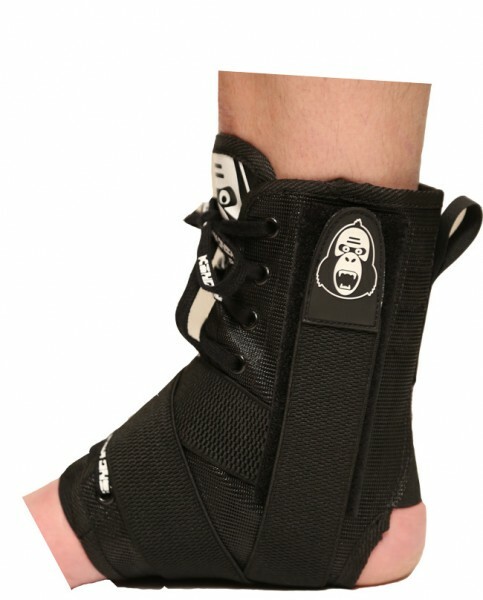 King Kong introduces the Pirate Ankle Brace. Made out of none stretch, tough nylon material with flexible heel panels and laces for the perfect fit. The durable and supportive straps together with the incorporated splints on both sides really support your ankles.